Occasionally the political status quo and established order are subjected to a radical paradigm shift that subverts normality in such a powerful way that it generates something feared in the halls of Whitehall and scarcely seen in everyday society. It creates hope. 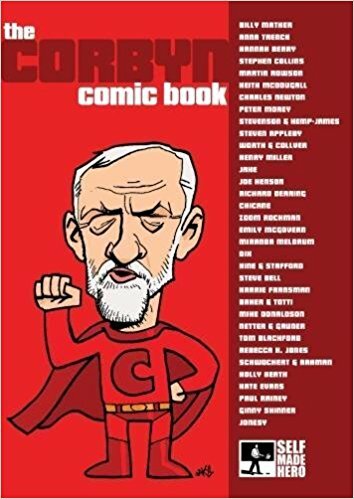 Which is exactly what happened when Jeremy Corbyn* a life-long, backbench Labour politician who cared more about his constituents, people and his belief that everyone should be treated equally and given the same opportunities in life regardless of their social position, was suddenly catapulted to the forefront of mainstream politics when, despite the seemingly insurmountable odds and obstacles placed in his path, he was elected leader of his Party. And while the predominately right wing National Press went into meltdown and attempted to demonise and vilify him, his message of equality and opportunity for all resonated with the general public and transformed this most seemingly ordinary and decent of men into a cultural and social hero. Hope it would seem, really is a powerful weapon. *I like the guy. I disagree with him on some things and wholeheartedly agree with him on others, but overall I think he’s a good man and I’d rather him see him in Number Ten than any bloody awful Tory or wishy-washy, half baked, Conservative by design, Liberal by choice Blairite.